The last recipe I made at my Cakes for Tea class at Lenôtre in Paris is a staple in French gastronomic restaurants. The other two recipes - a bad pine honey gingerbread and some chewy madeleines - were not convincing so I won't publish them here. I make better madeleine than those. But the pistachier was great. The pistachio paste is difficult to find outside professional pastry stores such as G.Detout. 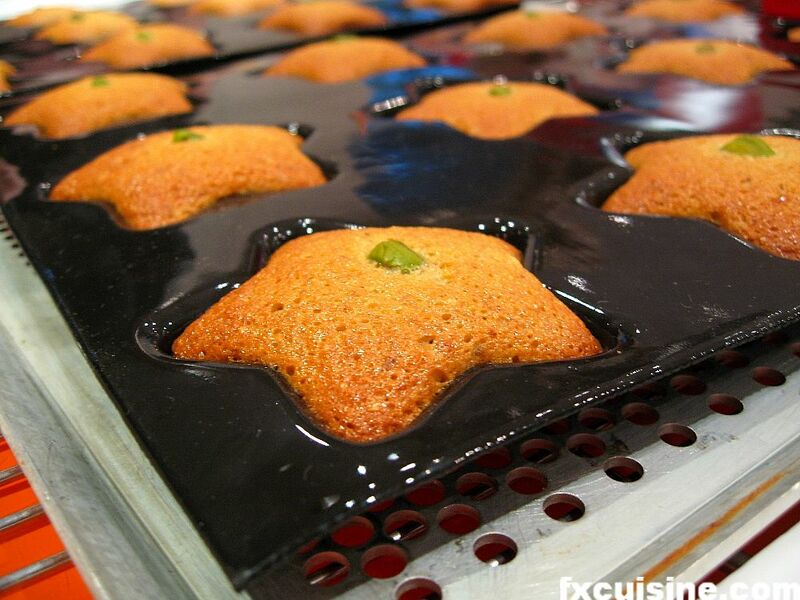 It is a mix of pistachio, sugar, coloring and other ingredients. Not plain ground pistachios as I thought. Mr Schmitt, the pastry chef who held this class at Lenôtre, recommends keeping the pistachio paste in the freezer. Blanched almond powder is white as coconut powder. It is made by blanching almonds to remove the skins and then grinding them into a powder. You can find it in groceries at least in Europe. You could use regular almond powder but the bits of brown almond skin would ruin the Pistachier's pale green color. 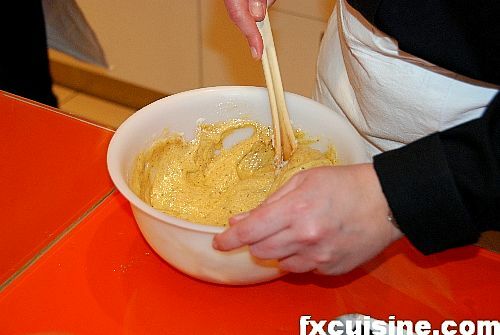 Start by heating the butter in a saucepan until it becomes beige. This is called a beurre noisette - hazelnut butter in French. 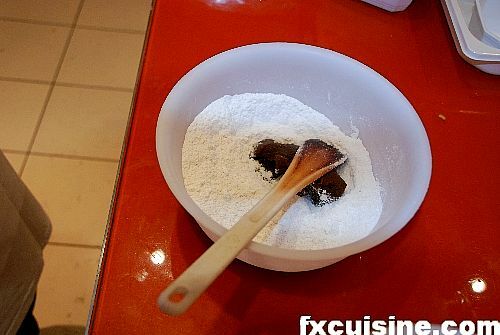 In a bowl mix confectioners' sugar, almond powder, flour and pistachio paste.